Although some are not the most pleasant, attics are one of my favorite places to inspect. Occassionally I can take a peek around and everything is great. However, most of the time there are items that need to be corrected. This is especially true when service technicians have been running cables or installing antenna etc. 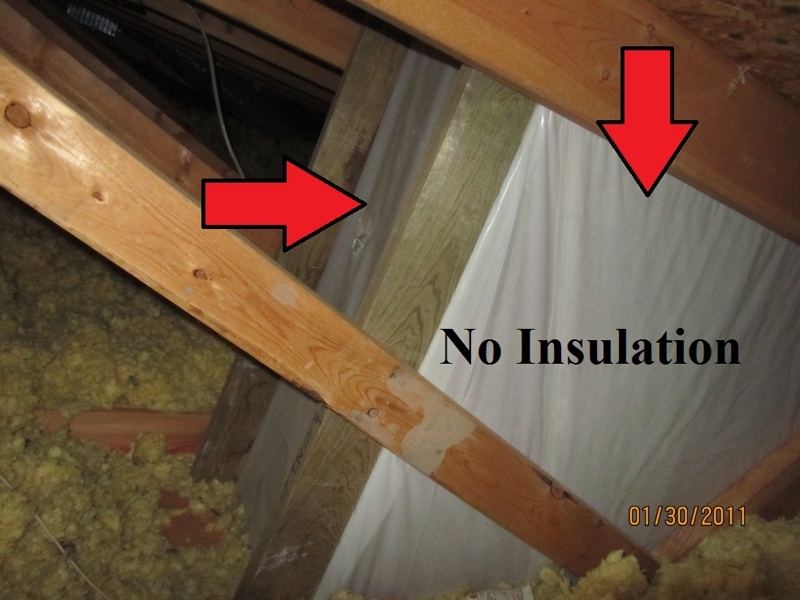 This generally means insulation has been disturbed causing excessive heat loss in areas. 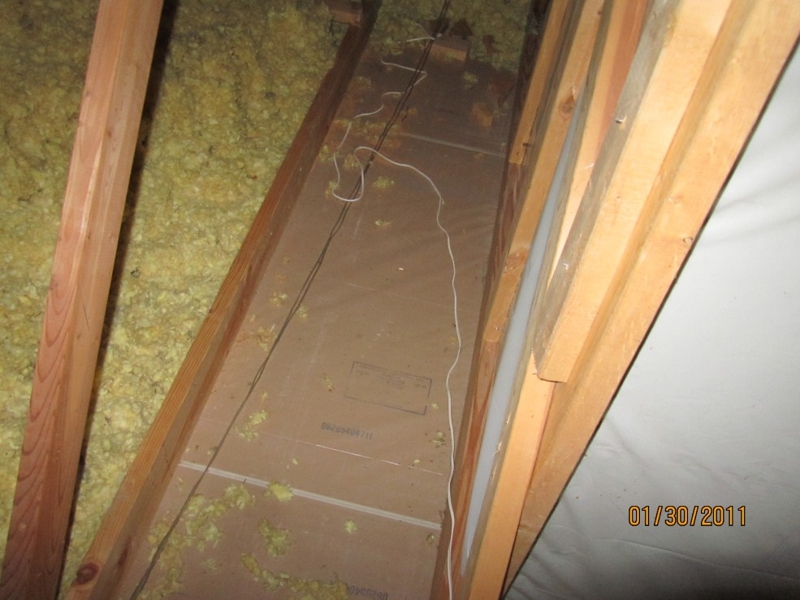 Picture 1 below reveals a case where an area 2 feet by 12 feet has been totally cleared of insulation. Also, noticte the verticle section on the right. This is the skylight passage through the attic. Again, no insulation. This creates a large area which is likely to has issues with condensation and frost. It is not a coincidence that this roof had ice dam issues. Please, check your attic, especially on new homes, the situation above has likely existed since the day it was built. When service techs have been in your attic or on your roof, BE SURE TO CHECK OR HAVE SOMEONE CHECK their work.